I’m sure we can all recall a bad day in our lives, one we didn’t expect would happen. Those negative moments seem to remain with us. But when was the last time you had a really good day that you didn’t expect would turn out that way? Why are those days difficult to remember? Is it because they are few and far between? Maybe so, but here’s one I know I’ll remember for a long time. We start every hockey season with grand plans to attend at least a half dozen home games. 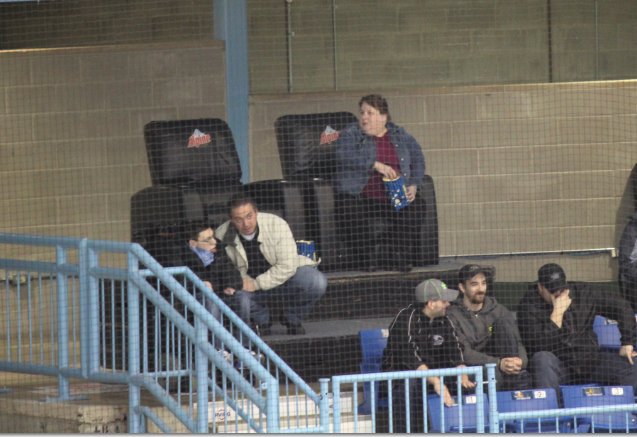 Our local team, the Sea Dogs, are exciting to watch. This season, we missed all the fall games, thanks largely to a more-hectic-than-normal home front. But a few weekends ago, we actually made it to a Sunday afternoon game to watch the Screaming Eagles face a good group of Sea Dogs. With the best of intentions to arrive early, we pulled up to the stadium, Harbour Station, only to discover the main parking lot was full. I guess we weren’t early after all. I asked the attendant if it would be OK to drop my son, Ben, off before finding a place to park the van. He acknowledged without hesitation and offered a club parking spot for free so Ben wouldn’t have to travel far in the winter air at the end of the game. As I made my way to the main foyer, I was greeted by a wall of people. Eventually, I reached Ben and my wife, Jan, as she was talking to one of the ushers. An attendant then parted the crowd and led us to a “fast pass” line of sorts to purchase tickets so Ben wouldn’t have to wait. As we filed into this line, a friend stopped to donate his season tickets, since he was going to one of the corporate boxes to watch the game. Wow. Three random acts of kindness in less than 10 minutes. This was going to be a fun afternoon. The ticket agent provided Ben with a seat that was both wheelchair accessible and close to our newly acquired season seats. She even threw in a discounted rate, just because. Make that four acts of kindness. We entered the section to find our seats and quickly scouted out a good vantage point for Ben, directly behind the visiting team’s goalie. Shortly after the national anthem, two guys with Harbour Station shirts approached us, one with a large video camera and one with a mic, and asked if we had the Alpine “Best Seats in the House” seats for the game (these are two large, leather recliners, propped onto a high platform). So that’s five acts of kindness. This never happens. I was feeling out of sorts. During the first intermission, as Ben and I went for a drive along the concourse, I recalled a lesson from the DreamBuilder course I took last year, where the host, Mary Morrisey, taught that the law of receiving is activated by the law of giving. And how important it is to focus on giving and generosity since we live in an abundant world. That notion has stuck with me, and I must say I’ve at least become more aware of little ways to practice it, like larger tips at coffee shops and restaurants, larger donations for weekly mass collections and how I interact with people in general. I don’t always follow through, but I’ve been, certainly, more intentional. Putting all that together, I wondered if, perhaps, the events of the day weren’t coincidental. That I have, somehow, activated this cycle of abundance, where complete strangers can play an active role in showing kindness and giving back to us and ultimately, to Ben. What a great way to see the world! And what a really good day it was that we didn’t expect! Follow this journey on Third Time Lucky. For all of February, The Mighty is asking its readers the following: Describe the moment a stranger — or someone you don’t know very well — showed you or a loved one incredible love. No gesture is too small! If you’d like to participate, please send a blog post to [email protected] Please include a photo for the piece, a photo of yourself and 1-2 sentence bio. Mike is co-founder of SoaringFamilies, an online community focused on providing families with Caregiving expertise and Coping solutions, so they can live more freely, more fully and with more energy. SoaringFamilies is about believing in a future that is bigger than the past, creating a world where all persons are accepted and included, and where every life is of equal value. Visit https://soaringfamilies.com to learn more. Experience the inspiration of the film, “Including Me: Ben’s Story”, and the power of an inclusive community.